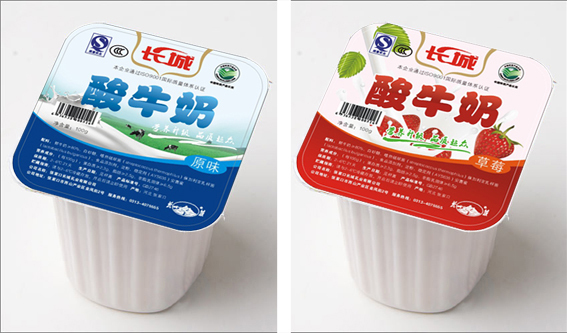 Specially offered for pre-made plastic cup, paper cup, and paper-plastic cup, the rotary cup filling and sealing machine can be used to package liquid and semi-viscous material, including yogurt, milk beverage, soya-bean milk, fruit juice, jelly, ice cream, seasoning, daily necessities, just to name a few. In addition, the filling for a second type of material, code printing, cap placing, and cap pressing function are optional for the rotary cup filling and sealing machine. Specially offered for pre-made plastic cup, paper cup, and paper-plastic cup, the rotary cup filling and sealing machine can be used to package liquid and semi-viscous material, including yogurt, milk beverage, soya-bean milk, fruit juice, jelly, ice cream, seasoning, daily necessities, just to name a few. 1. 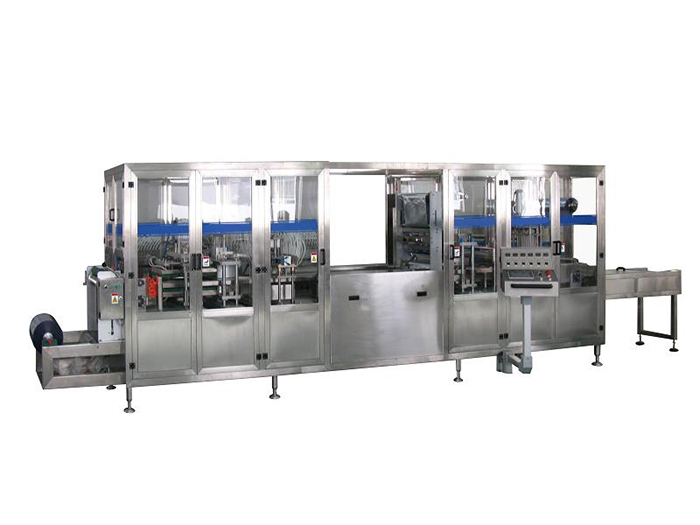 Suitable for single film, the dual cup filling and sealing machinery can finish cup feeding, liquid filling, single film placing, cup sealing, cup unloading, and cup conveying automatically. In addition, the filling for a second type of material, code printing, cap placing, and cap pressing function are optional for the rotary cup filling and sealing machine. 2. 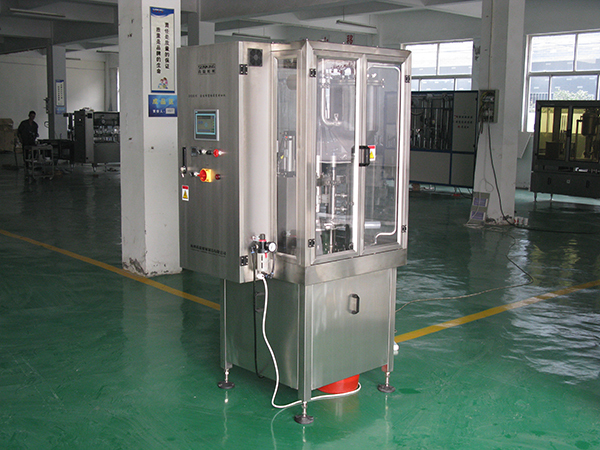 The standard liquid packaging machine is applicable for liquid filling with the volume from 10 to 250ml. 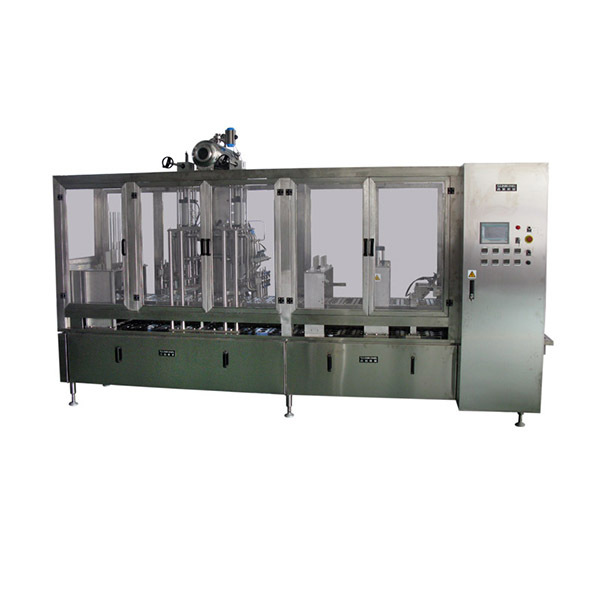 The specially designed filling system and the CIP cleaning system satisfy the strict sanitary requirement. 3. 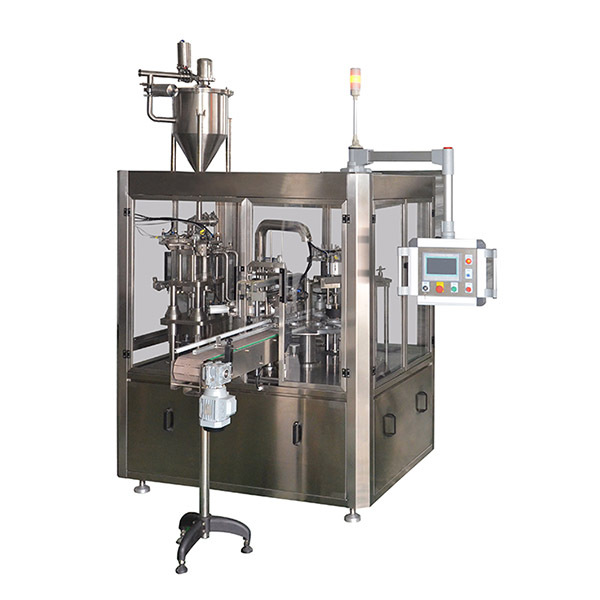 In addition to the liquid filling system, this cup filling machine can be installed with customized particle or powder material filling system. More importantly, the hot material filling system is also available from us. 4. This range of product is quite suitable for users with higher requirement on the productivity and precision of the rotary cup filling and sealing machine. The filling volume can be adjusted based on the specification of the cup. 5. Fully automatic, this product is distinguished by compact structure, simple and nice appearance, and easy filling volume regulation.